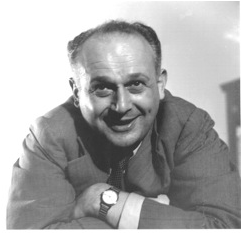 The Method was developed by Moshe Feldenkrais D.Sc. (1904-1984), a scientist and engineer with interests in Judo, the human potential movement and the human body. He developed a method of working with the whole body and mind to achieve lasting and profound change. His insights contributed to the development of the new field of somatic education, and continue to influence disciplines such as physical medicine, gerontology, the arts, education and psychology. His method is now being validated by the discoveries in the field of neurobiology. Feldenkrais developed two ways of teaching the method; classes in which a teacher gives verbal instructions to a number of people, normally lying down, but sometimes sitting, standing or kneeling (Awareness Through Movement or ATM), and one to one sessions where the student (or client) normally lies on a bench whilst the practitioner moves them in a gentle way (Functional Integration or FI). Both methods are usually very relaxing. About Julie Taylor-Browne Ph.D., GCFP. After a career working as a researcher and consultant in the area of sexual violence and child abuse, I turned to animal training in 2003, specialising in alpacas, llamas and horses (see www.carthveanalpacas.com), including qualifying as a Tellington Touch practitioner, where I found out about the Feldenkrais Method. I was delighted to find that it cured my longstanding aches and pains caused by sports (including riding) injuries, as well as making me a better animal handler and teacher. I started the second London Training in 2011 and graduated in August 2015. I have worked with a wide range of people with a huge variety of conditions, and have been immensely impressed with how much the Method can help alleviate and cure so many health problems. Who might ﻿benefit﻿ from the Method? • Almost anyone who is aware that habitual patterns have affected them and wants to change. • 'After F.I.s with Julie I have increased co-ordination & flexibility, am more aware of my body & have a greater confidence & freedom of movement. Such a difference you have made to my life - thank you Julie. Awareness through Movement Classes help me to continue with the good work'. J.T. • 'As a regular member of Julie's ATM classes I find her to be an excellent teacher. The classes are friendly and relaxed. I find the Method promotes better understanding of body movement. This relieves tension and promotes free movement with energy saving benefits. I have benefitted particularly from indivual sessions. I would recommend anybody experiencing tension and mobility problems to try the Feldenkrais Method'. C.K. • 'The ATM classes have helped me with better posture, better flexibility, more confidence in balance and has improved my ease of movement - I have been surprised that it works so well!' T.B. • The Feldenkrais method is very soothing with minimal movement involved. The results are extraordinary. Julie is a sympathetic and thoughtful practitioner who has improved the quality of my life through her ministrations. I’m looking forward (as always) to my next ATM and FI. J.D. • The Brain's Way of Healing. Norman Doidge. Allen Lane, 2015. • A excellent video about the Method featuring Ruth Alon. • Another beautiful example of ATM by a Feldenkrais teacher, Alfons Grabher. • Follow my BodySense Facebook page. • See the UK Feldenkrais Guild Facebook page.